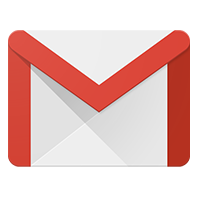 Specifically, it looks like Google's gearing up to handle all your email with Gmail, not just your Gmail account. 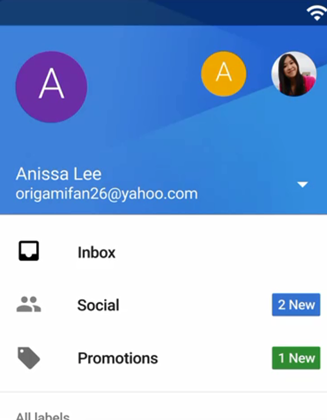 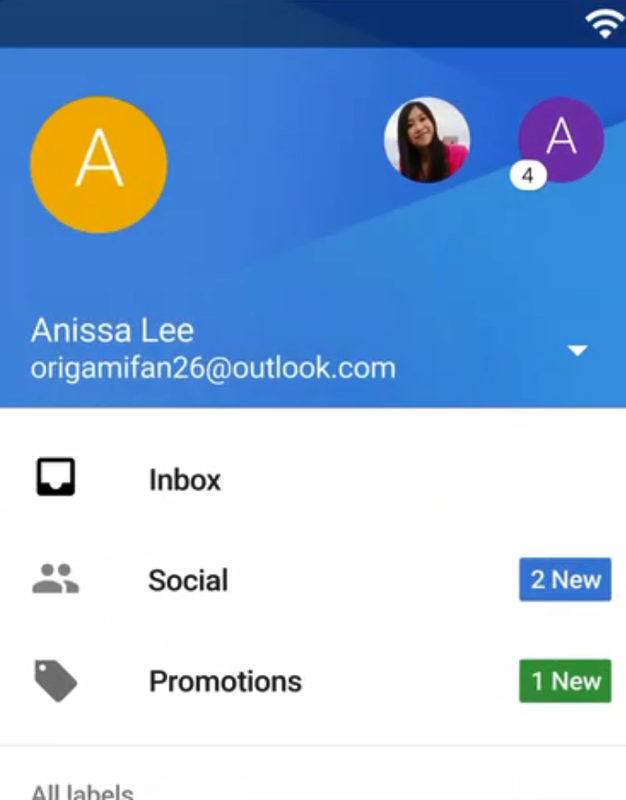 Among other things, the new Gmail will be able to handle email accounts from other providers like Yahoo or Outlook, switching between them with either a simple swipe or by touching the account drop down. 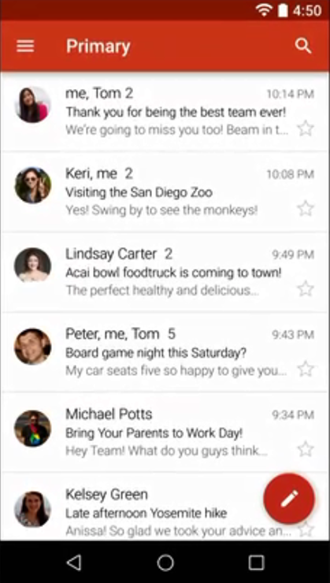 Here's the new onboarding video Gmail will show for returning users upgrading to the new version. 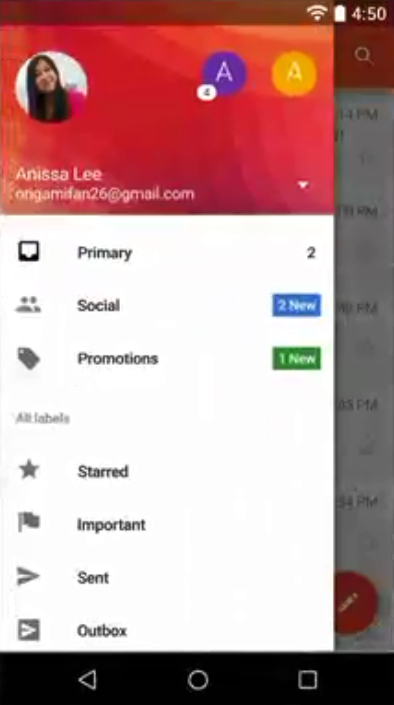 The onboarding video does a great job of showing all the new visual treats in the 5.0 version of the app, from the super clean compose screen to the round avatars, FAB, and refreshed iconography. Truly "a fresh new look" is the most apt description for the update.